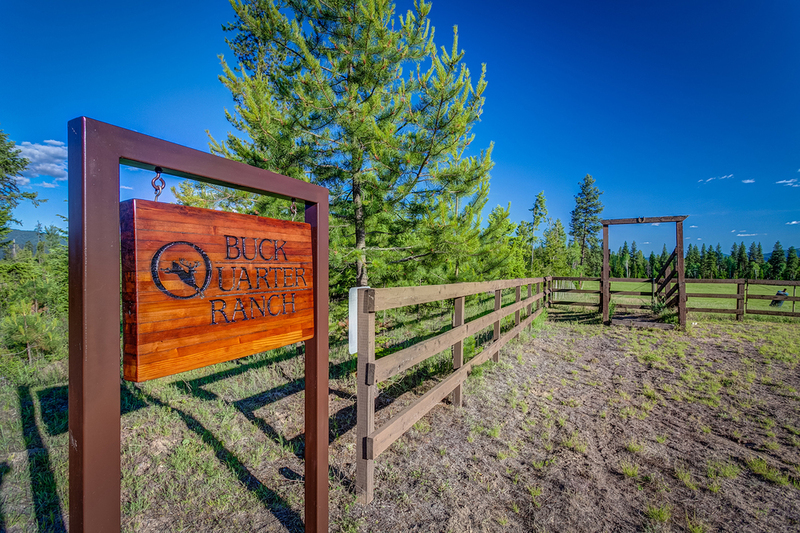 Sited on 900 acres of pristine Northeastern Washington land, just minutes from the Pend Oreille River, Buck Quarter Ranch offers its owner and guests seclusion on a private compound that is off the grid yet within easy reach of recreational and metropolitan areas. 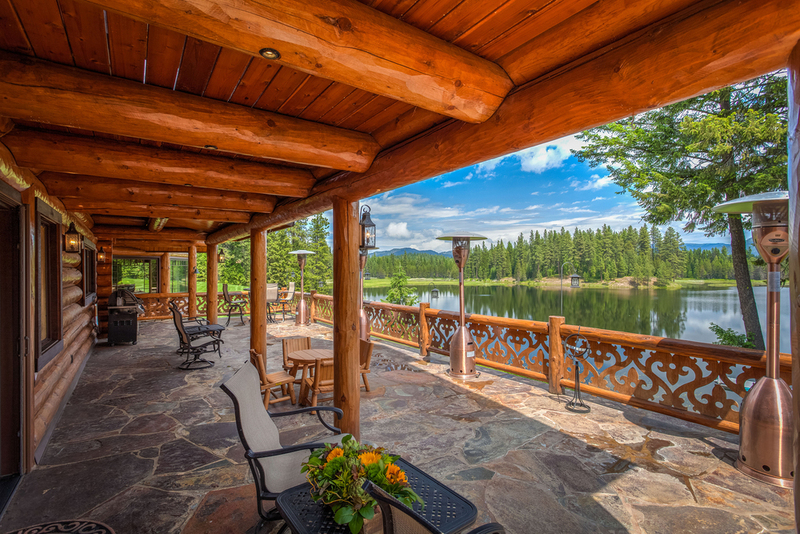 The property is located in the foothills above a rich farming and ranching valley, and comprises 150 private acres of Brownie Lake and Metcalf Lake, 40 acres of fenced pasture, and 360 acres of woodland. 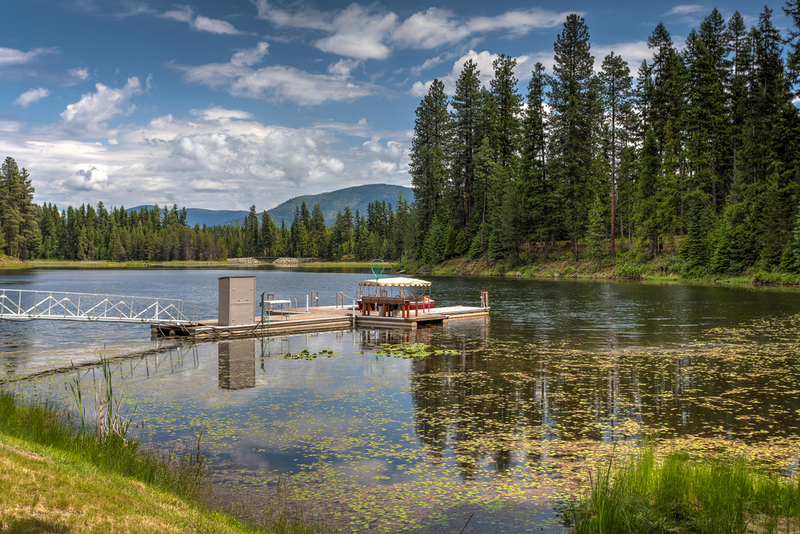 Both Brownie and Metcalf Lakes are aerated and stocked yearly for year-round fishing. 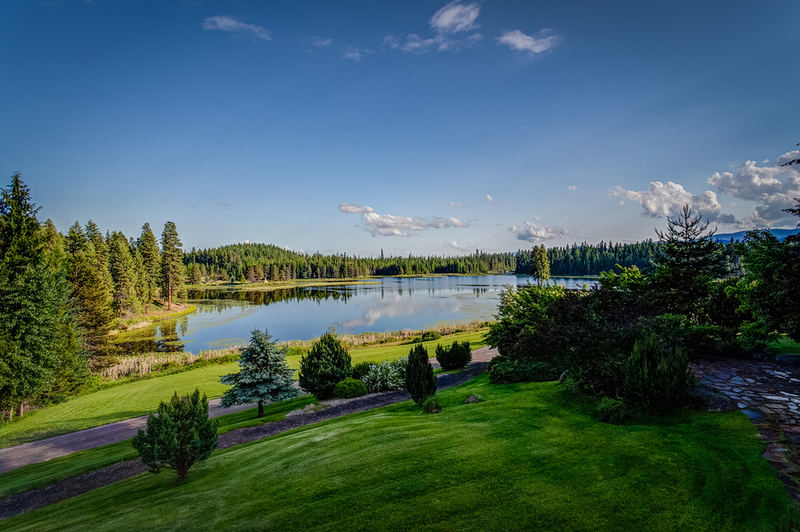 While Pend Oreille County boasts low population density with just shy of 13,000 residents, the ranch is within half an hour of Newport, WA and it’s residential services and remains only an hour from Spokane, WA and Coeur d’Alene, ID. 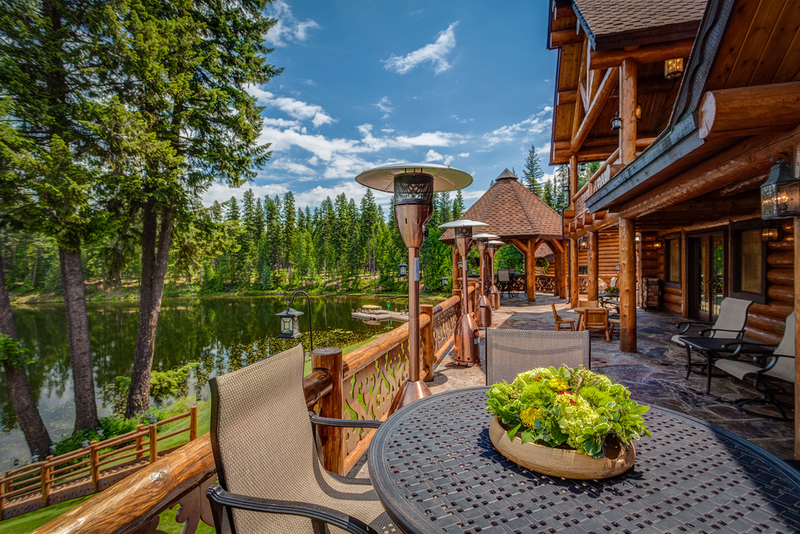 Nearby Sandpoint, ID offers an abundance of lifestyle attractions ranging from casual to five-star dining and art galleries, to entertainment venues and residential services. Numerous skiing areas, hiking and off-road trails, casino resorts and golf courses are within an hour and a half of the property, offering innumerable opportunities for outdoor recreation and year-round entertainment, with easy access to regional airports with both private and commercial itineraries. 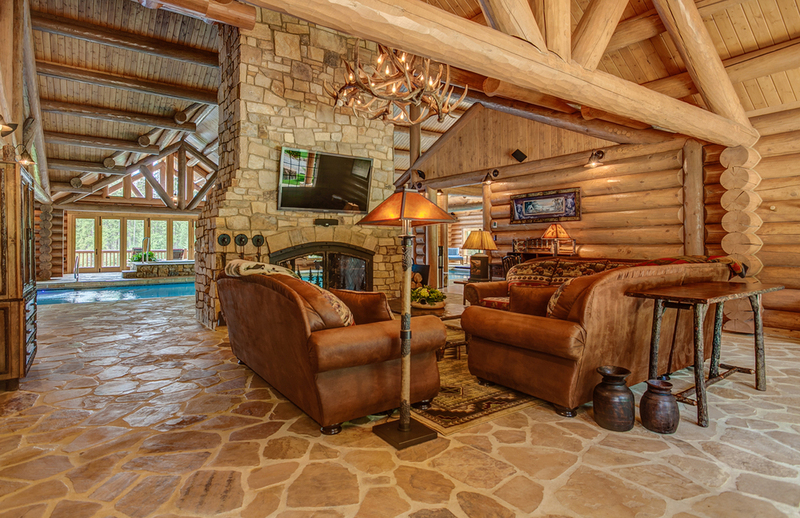 Buck Quarter Ranch comprises 7 distinct structures, each with its own personality and use. 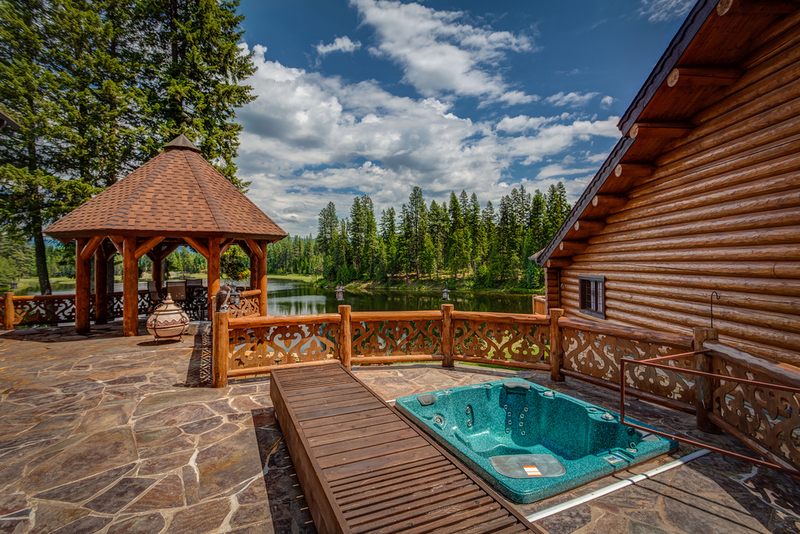 They include a 12,000 square foot main house, an opulent spa pavilion for year-round swimming and relaxation, a classic log cabin, an elegant 2,800 square foot guest house, a 1,300 square foot caretaker’s house, a helicopter pad and a fully equipped, 6,800 square foot shop with several outbuildings and equipment shelters. The buildings are massed for both convenience and privacy, preserving sight lines and creating a sense of both intimate and autonomous community. The main house, spa pavilion and guest log cabin make up one compound, while the guest house, caretaker’s house and helipad occupy their own discreet areas around the lake, with the shop in its own corner of the property. 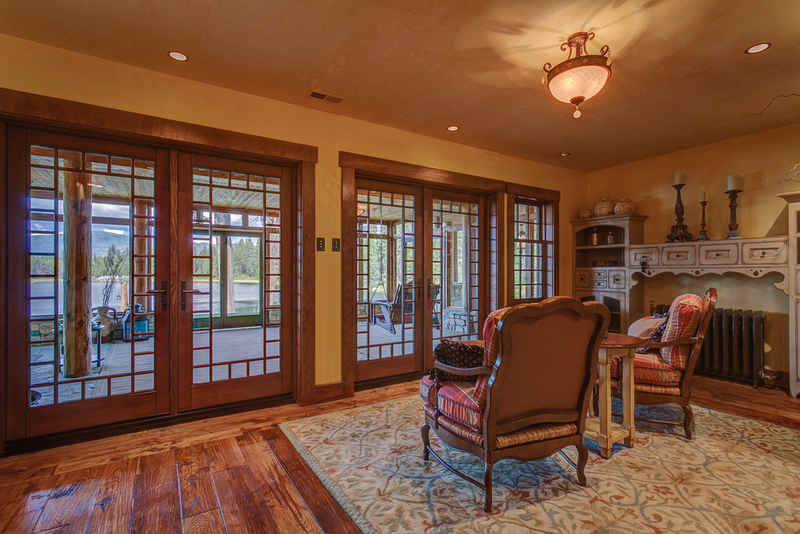 This allows for numerous guest and residence options with varying degrees of detachment. 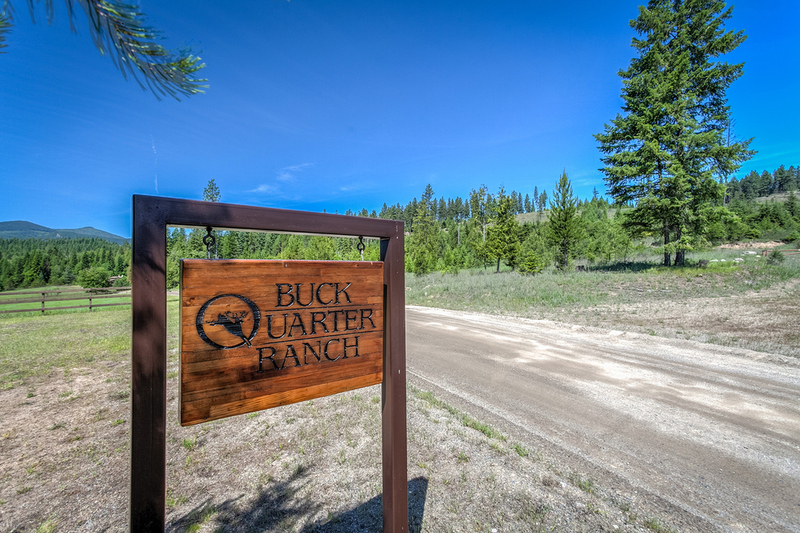 Living at Buck Quarter Ranch means moments for a bounty of outdoor recreation abound, both on the property and within the surrounding region. Benefiting from its perch on a high plateau, the northwest interior of Washington offers four distinct seasons and on average, 174 sunny days per year. The average rainfall ranges from just 24 to 30 inches per year with warm summers routinely reaching the mid to high 80’s while the evenings are cool and comfortable. Winters are equally as active with reliable snow coverage and average a low of 17 degrees. The climate and geography are perfectly aligned for hiking, equestrian sports, off-road vehicle tours (ATV’s, snowmobiles, etc. ), biking, and fishing (both in lake and the active water rivers nearby). Buck Quarter Ranch is also a natural sanctuary and wildlife utopia with nearly daily sightings of Moose, Elk, Deer, Turkey, Eagles, Cranes and many other bird species. Cast off the dock or take out the pontoon boat while the fish are biting – there are many species and thanks to annual stocking and an immaculate ecosystem, you’re guaranteed your catch. 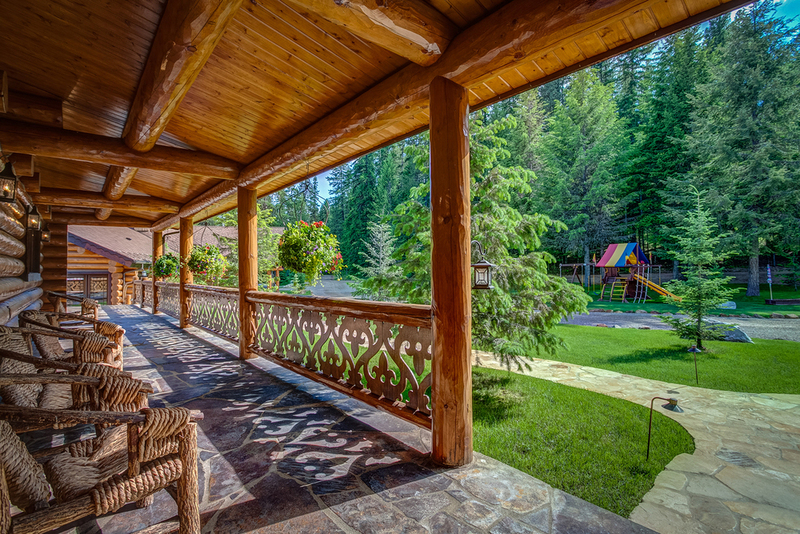 Off the ranch there are numerous nearby attractions including renowned golf courses, world-class ski resorts and recreation on the many waterways that include the Pend Oreille River, Lake Pend Oreille and Priest Lake – regarded among the most beautiful lakes in America. 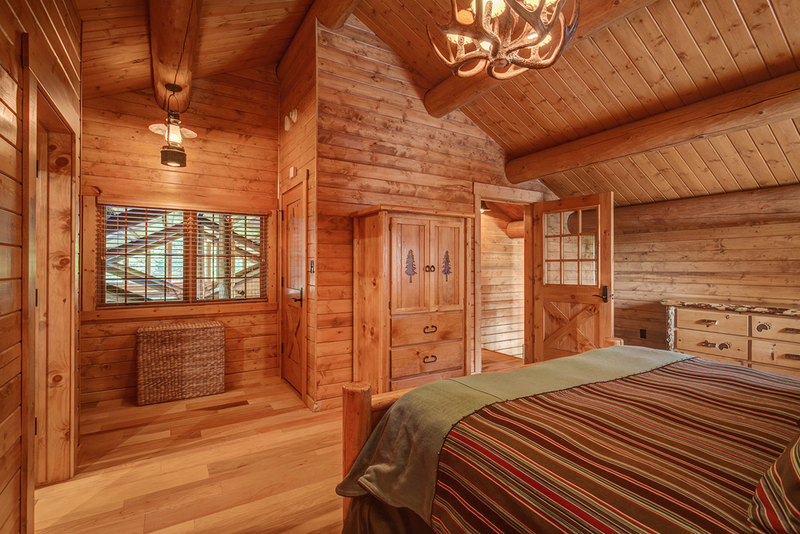 Drawing influences from the Great Camps of the Adirondacks and the Grand Lodges of the National Parks and Railways, Buck Quarter Ranch represents the ultimate distillation of American vernacular architecture and scale with sublime luxury, singular location and natural serenity. 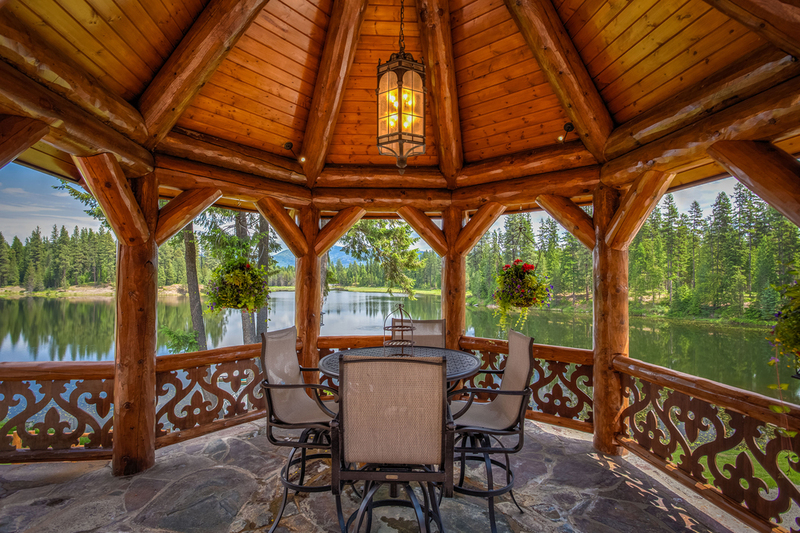 The main house is a masterpiece of high lodge style, offering over 12,000 square feet of meticulous log construction with extraordinary levels of detail and luxury, spread throughout 3 levels, and sited on the edge of the lake. 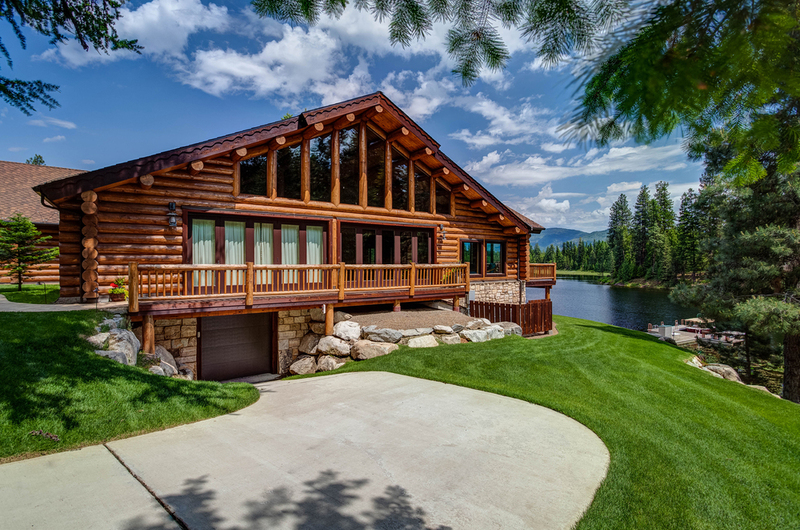 It was built between 2004 and 2005 from kiln dried Montana logs on a massive concrete and steel foundation, with 5 bedrooms and a heated four car garage. 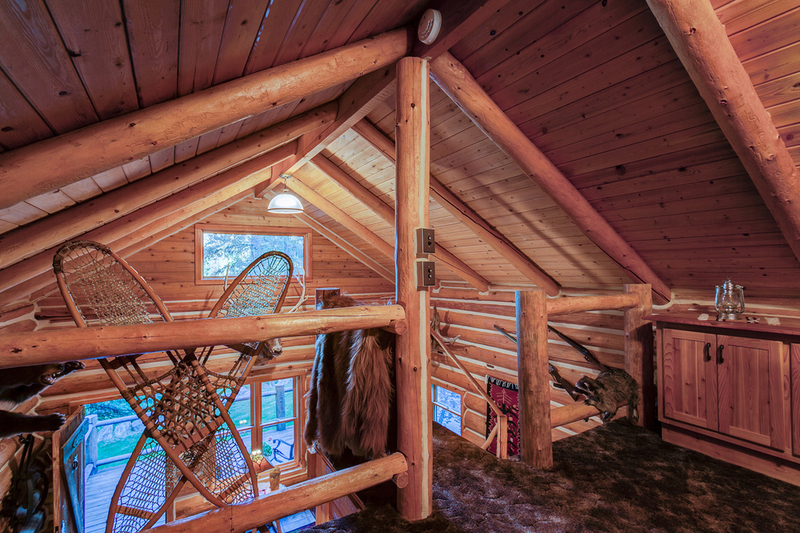 The entire exterior and primary interior structure are of carefully honed log construction, with vaulted ceilings, arched alcoves and exposed structure to emphasize the artistry of the building’s construction. Intricately stencil-cut railings wrap the exterior decks and interior staircases and mezzanines, while Venetian plaster adorns all interior dividing walls for a feeling of warmth and history that compliments the house’s wooden mass. Stunning imported chandeliers and custom secondary fixtures illuminate every space, while discreet lighting systems emphasize the architecture and construction detail and afford ideal conditions for all manners of display. 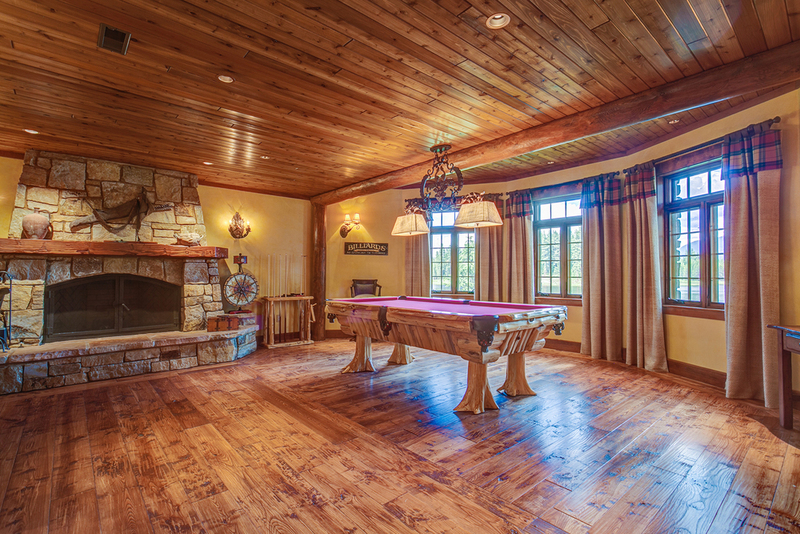 The main level comprises a great room living area with a commanding two-story fireplace and inglenook, a dining room that overlooks the lake, an office with custom built-in bookcases and its own fireplace, a guest bedroom suite, chef’s kitchen, two pantry areas and a laundry room. It is an awe-inspiring central space that evokes comparison to the grand lodges built by Averell Harriman and the National Parks, with multiple access points to a sheltered, wrap around deck and heated slate floors for comfort in the deepest depths of winter. 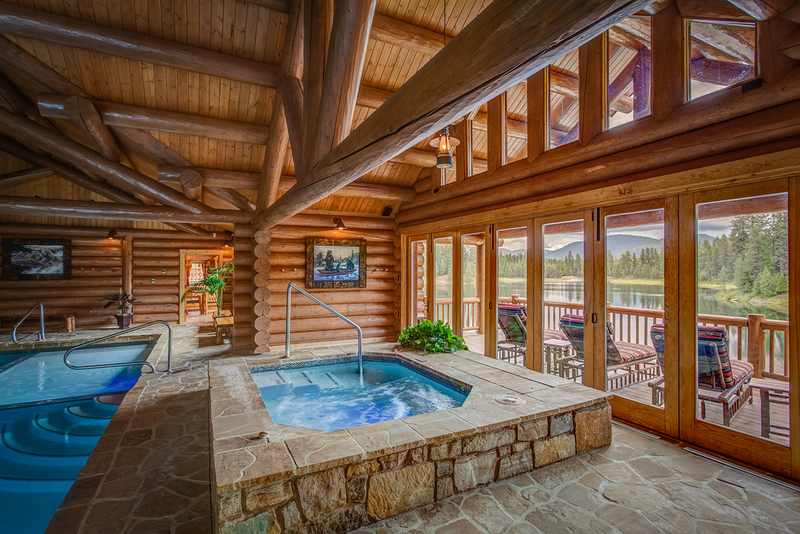 An outdoor hot tub occupies its own gazebo area off the deck, making this a singular space for al fresco entertaining. 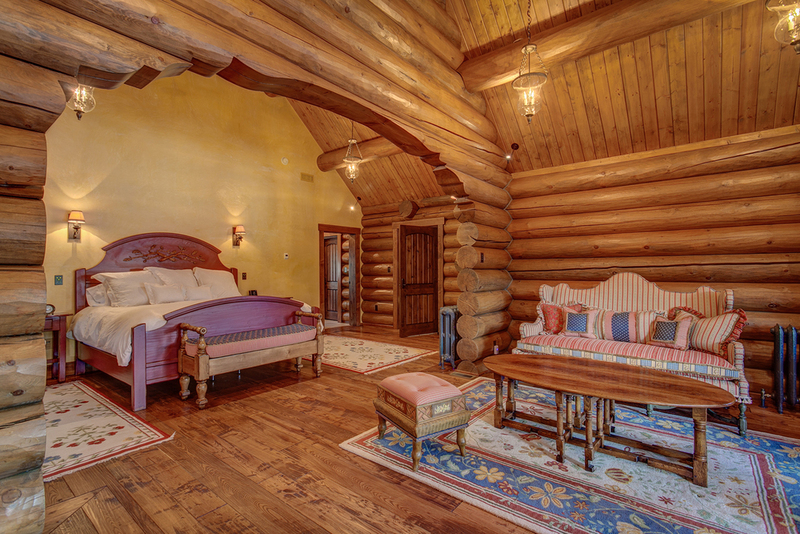 The upper level is devoted to the master suite, with an adjoining deck that overlooks Brownie Lake, and includes an inglenook with a fireplace featuring hand painted tiles, vaulted ceilings and wide plank floors. 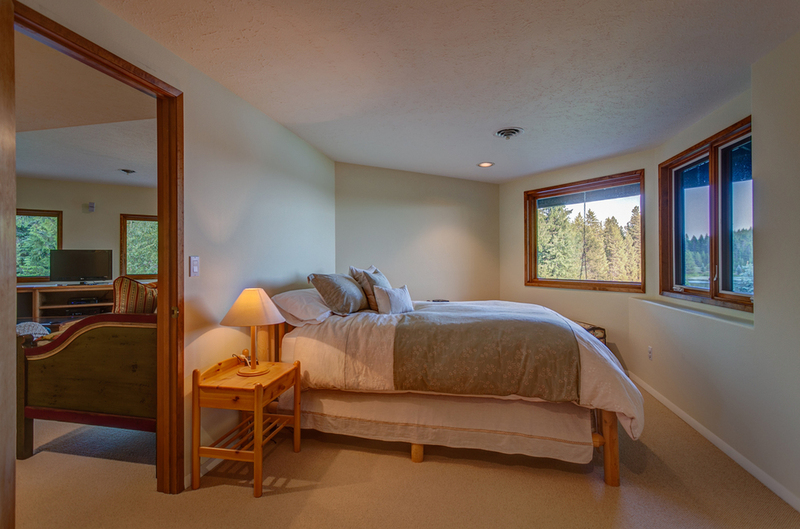 The bath provides a claw foot soaking tub, walk-in shower, two sinks and a separate toilet and bidet area. 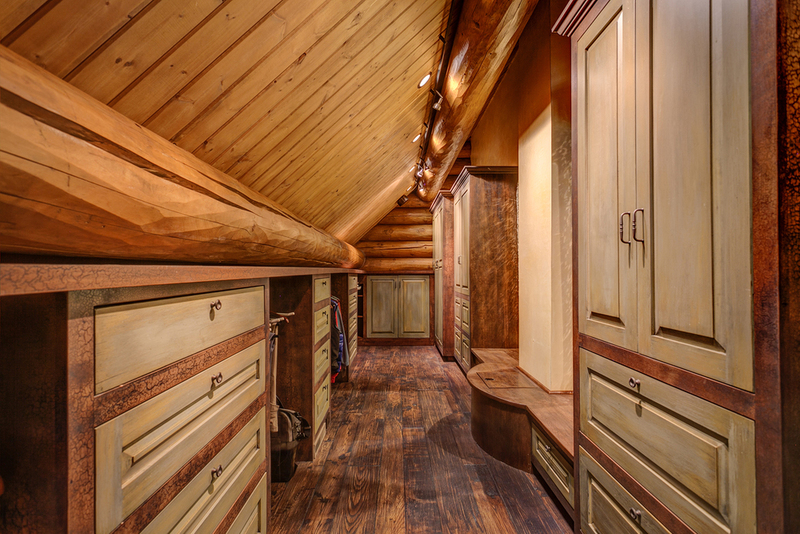 Walk in closets provide dressing areas for two. 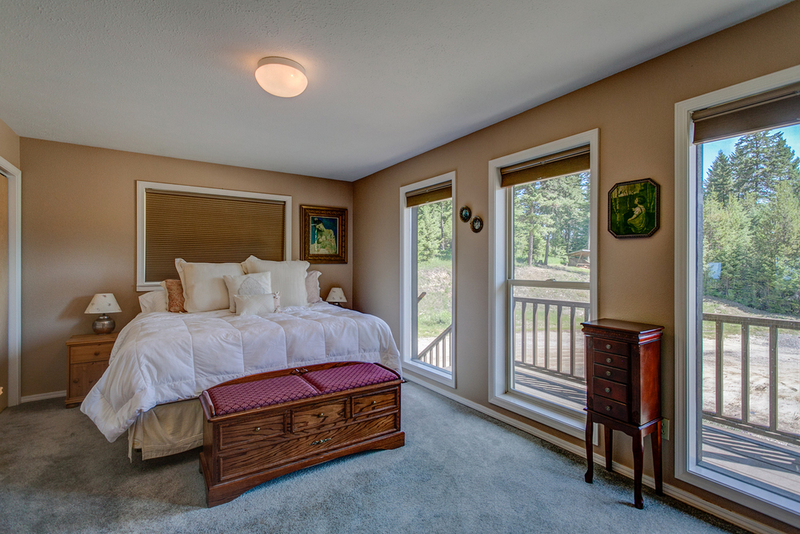 There is a private exterior staircase from the master bedroom that leads to the lower level for quiet moments. The lower level represents a more casual atmosphere, with tall ceilings, walls of glass overlooking Brownie Lake and vast expanses of indoor space that include a natural stone fireplace, a lounge area with custom bar and pool table. The screened porch has heated slate floors and retractable copper screens. State of the art systems keep the residence perfectly comfortable and guarantee that it will stand the test of time. 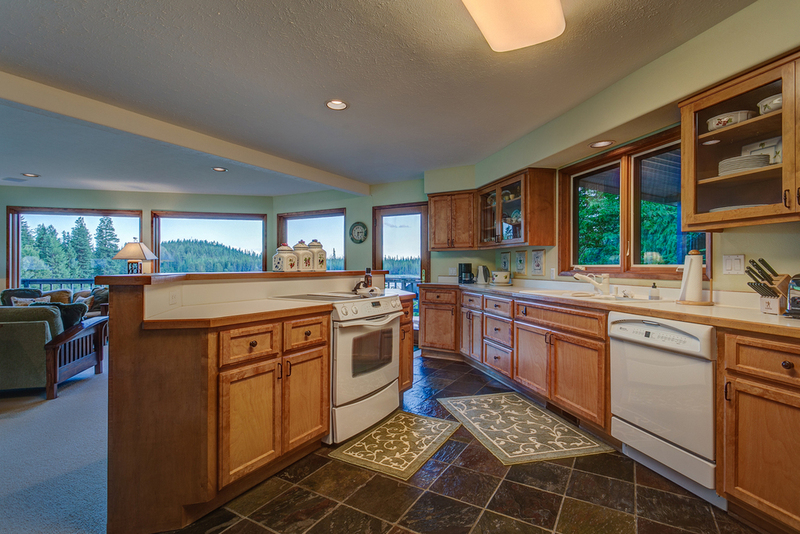 Floors are heated, and augmented by forced air heating and air conditioning. 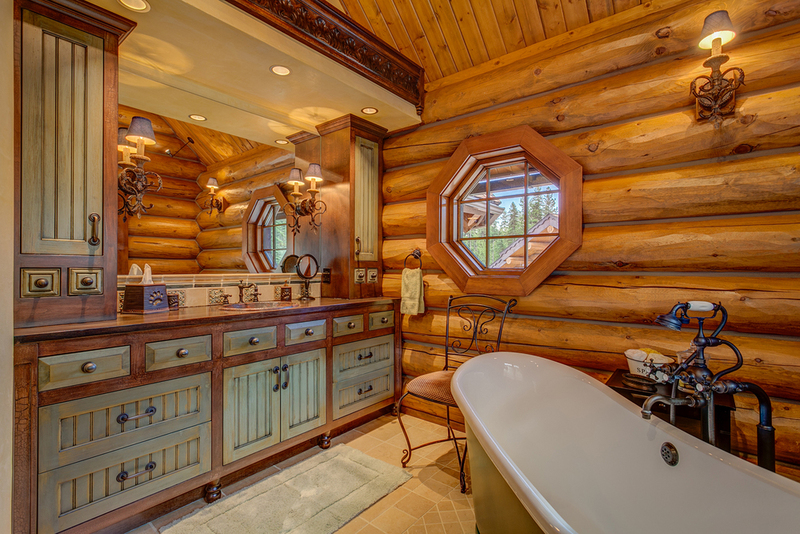 All plumbing is copper with hand hammered sinks and matching fixtures throughout the house. The entire lighting system is on Light Touch control for both interior and exterior, and there is a Snowmelt system on the roof and gutters to ensure easy snow control in winter, while a remote security system monitors the entire structure. All primary systems are connected to a 135KW backup generator, and well water is backed up by a Kinetico filtration system using lake water. Simply put, this residence has been designed and optimized to endure and thrive in extreme conditions. Immediately adjacent to the main house lies the exquisite spa pavilion and pool house with two additional guest suites. 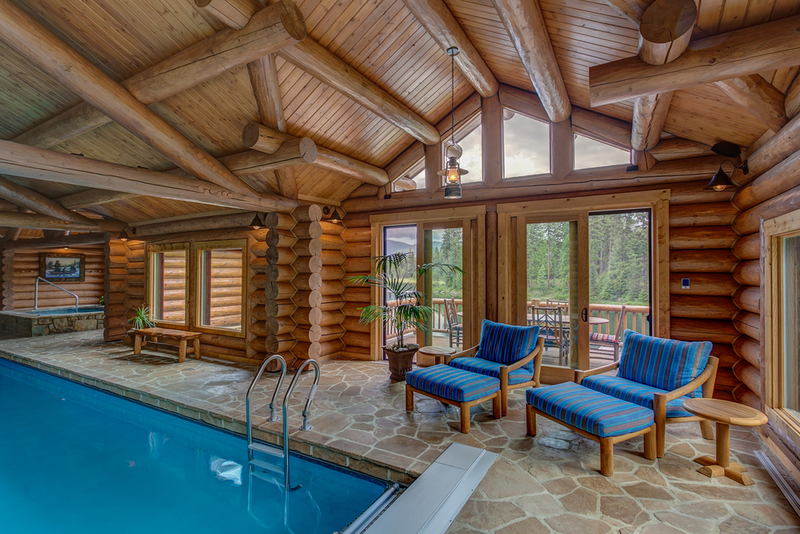 Constructed in 2012, this 8,000 square foot log structure houses a 20’ x 63’ lap pool, a separate children’s pool with spraying water feature, and an in-ground, custom built whirlpool spa that seats 12. An elaborate in-floor HVAC system ensures that the air is pure and dry without the obtrusive sight or sound of exposed ducting. 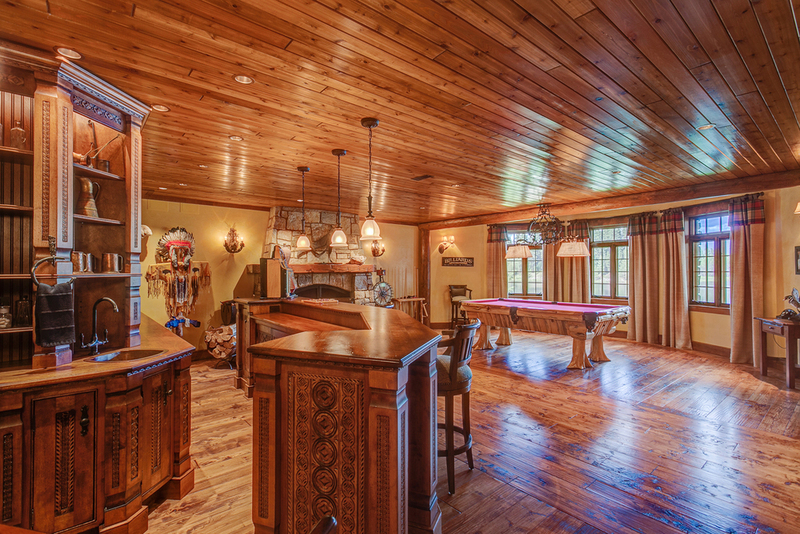 It is the ultimate casual rest and relaxation area with a centralized lounge that surrounds a 25’ two-sided stone fireplace with a complete home theater system to watch the game or entertain the kids while you work out. There’s also a health spa that includes a Swedish dry sauna, a steam room for 8, an exercise room and 6 private dressing rooms with showers, which rounds out this lakeside retreat rivaling the best of what Europe offers. Enjoy late nights in the well-appointed poker room overlooking the lake or simply relax by day on chaise loungers in the covered veranda where a wall of glass folds away to bring the outdoors inside. Independent from the main house, behold a full kitchen with a wine closet to entertain, a sound system and a dining area with room for 12 guests. 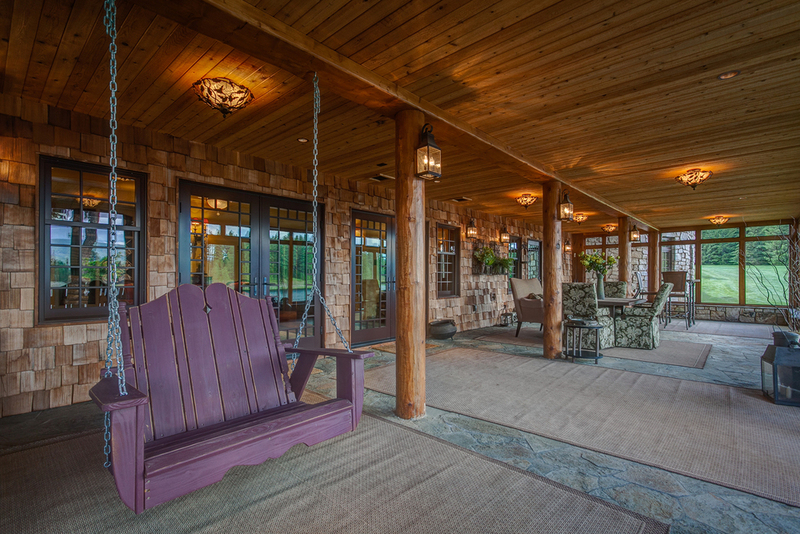 Moving up and around to Metcalf Lake, the guest house is an elegant, 2,800 square foot estate in its own right, sited on a groomed and carefully landscaped parcel that rolls gently down to the lakeshore. The house offers 2 bedroom suites, a gourmet kitchen, a grand living room with wet bar, an office area and all the conveniences necessary for autonomous living spread over three levels; all capture spectacular lake and territorial views. It also includes a wraparound deck with an outdoor sound system and an attached 2 car garage. With its more contemporary architecture and location up and away from the main house, this residence is a getaway within the ranch, and a perfect place for long-term guests or multi-generational families. Guests will enjoy their dedicated dock and a relaxing boat tender from the guest house as they approach the main home. A journey is as romantic as it is memorable. 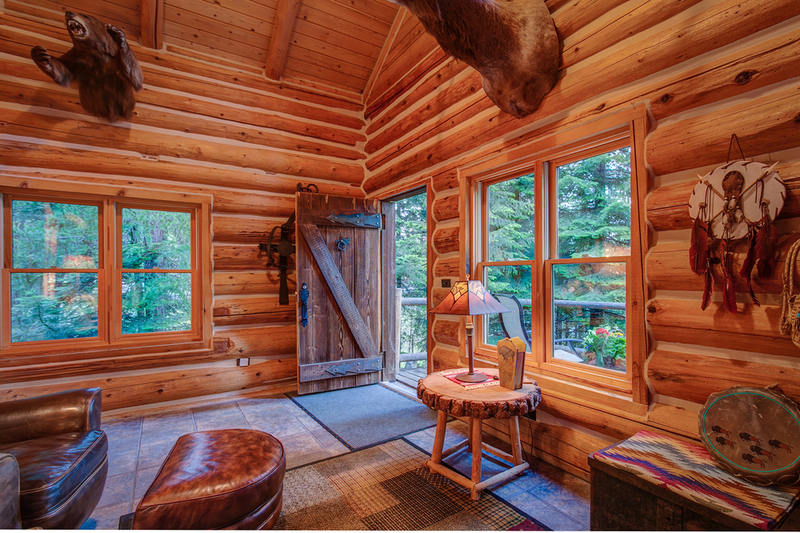 As a connection to the ranch’s more rustic roots, a 500 square foot log cabin a short stroll from the main house and spa, providing a charming and quaint counterpoint to its neighboring opulence. 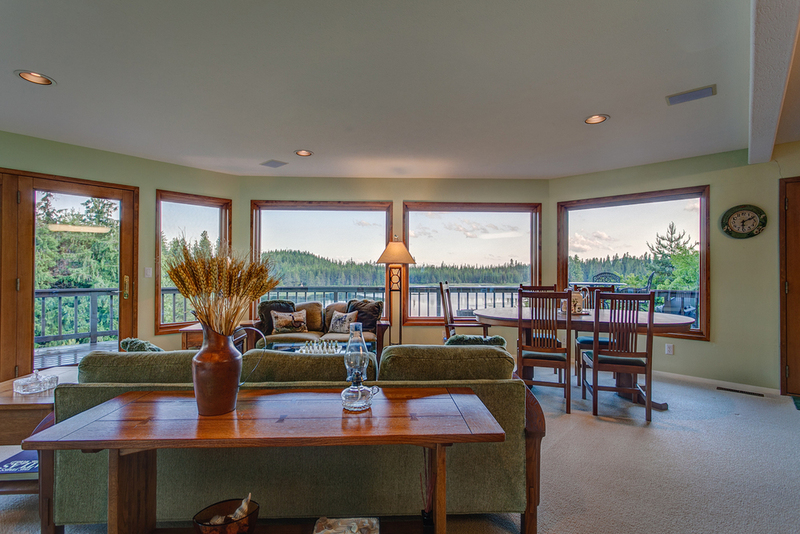 It affords a truly tranquil and human-scale perch from which to enjoy wildlife on the lake or an intimate evening of cozy comfort with its full bath and kitchen. 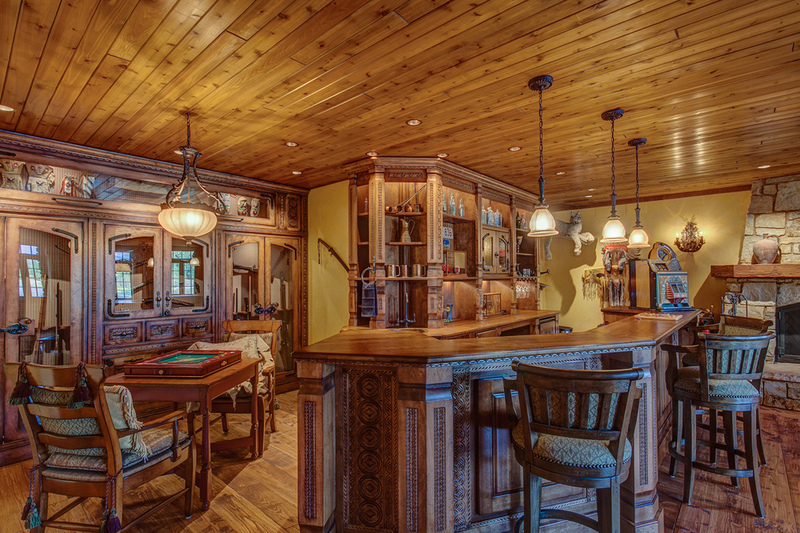 It’s a special, self-contained outpost for favored guests or an impromptu vacation within the ranch. Located at the entrance to Buck Quarter Ranch is the equestrian center and cattle field – a collection of buildings and fenced pastures and paddocks. 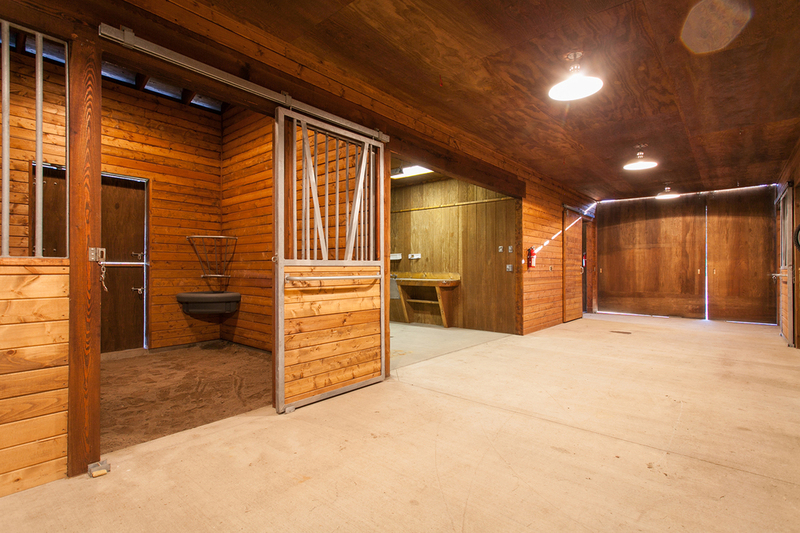 The barn includes numerous stalls, a wash station, hay storage and museum quality tack room. An adjacent railway house was converted to an accommodation for the ranch manager to watch over the livestock and horses and to tend to guests enjoying miles of private trails. There’s plenty of room to expand the equestrian center, should a dressage arena or breeding facility be desired. 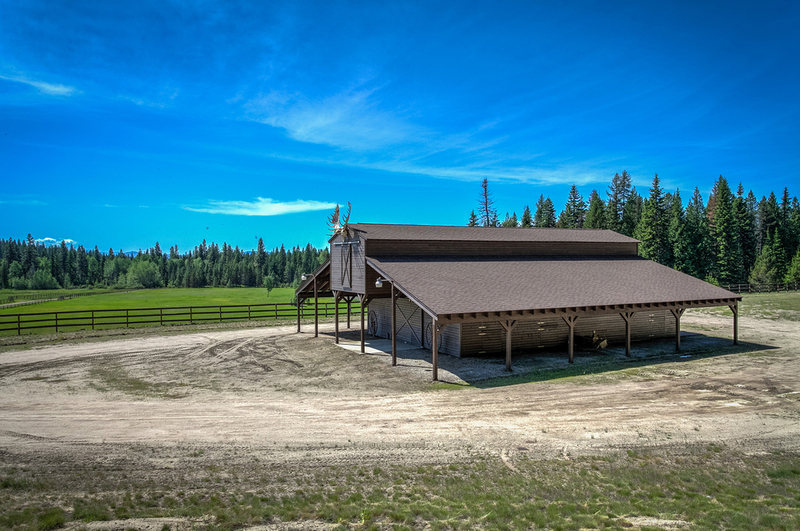 The temperate climate of the inland Pacific Northwest region offers an ideal accommodation for your ranch compared with the heat and lack of resources faced by southern states. This ranch has been carefully crafted to offer the ultimate four-season experience to its owners and their fortunate guests. In addition to its world-class facilities, the grounds provide incredible outdoor sporting opportunities that include a shooting gallery and rifle range, a waterfall with spawning creek to the lake and three aluminum dock systems for fishing and swimming with power and water. A popular summertime destination is the private wade-in sandy beach, with its own swimming dock complete with water toys such as stand up paddle boards, peddle boats and kayaks. There’s even a remote spit on the lake, nicknamed Indian Island, which is landmarked with its authentic teepee and features a fire pit made for late nights under the stars. 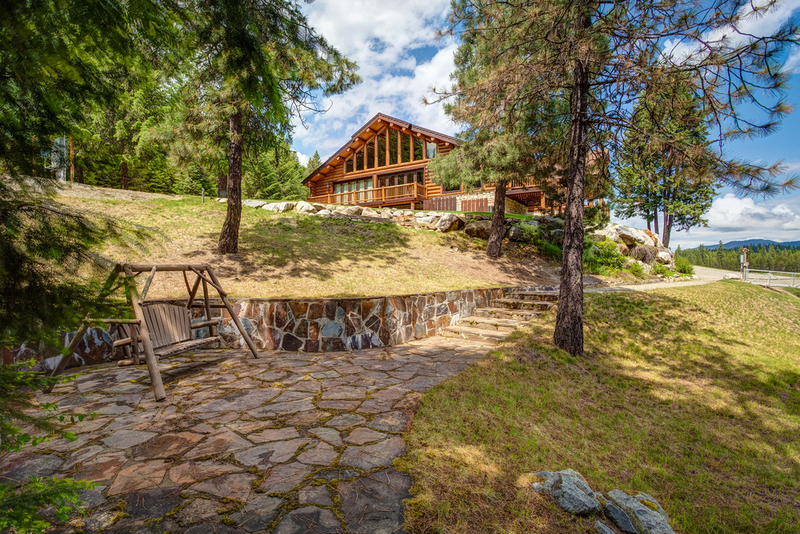 The caretaker’s house is perched above the shop and back from the lake, providing everyday comfort and easy ranch access to a full-time caretaker. This 1,400 square foot residence includes two bedrooms, a private laundry, a large living room with French doors out to a view deck and private interior and exterior access to its own shop area. 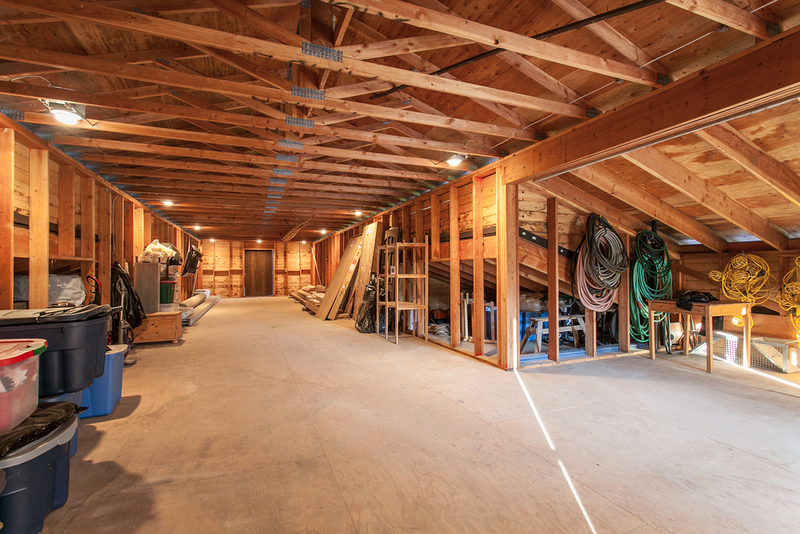 A 6,900 square foot maintenance shop building lies discretely to the south. This structure is the heart of the ranch’s maintenance program, and offers six 14’ roll doors to easily accommodate large equipment, and the back shop includes an additional two 12’ and one 14’ foot electric access doors. A full-time maintenance crew enjoys all the utilities and resources one would expect from a small town including a fire truck, tractor and excavation equipment, road maintenance vehicles and a dedicated gas station. To meet practicality, there are two water pumping stations and five private wells on site, with numerous outbuildings and a barn for storage and utility. There’s even a commercial dredger for pumping out material from the lake and creating a rather prosperous amount of peat for fertilizing the ranch. In addition, the portfolio comes with a wide selection of associated accessories for enjoying its many recreational opportunities that range from ATVs and boats to the novelty of a 1967 Amphicar! Finally, a helicopter pad sits on a promontory near the guest compound on Metcalf Lake for ready access to and from the outside world.